It was the epitome of traditional design and craftsmanship meets modern warfare, and was also the first submachine gun to see combat use. It is of course the German Bergmann MP-18 (Maschinenpistole model 1918) that entered service with the Imperial German Army in 1918 as a Sturmtruppen weapon for clearing trenches and breaking the stalemate on the Western Front. The MP-18 proved to be an excellent weapon that was well-suited to the close quarters of trench fighting. The MP-18 also served with German police and para-military forces after the war, and its basic design influenced many submachine gun designs throughout the 1920’s and ’30’s. 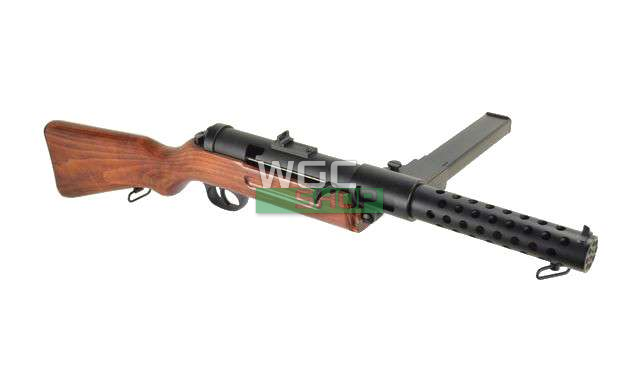 Submachine guns were also very popular in the Second World War as their lightweight and high volumes of fire were superior to most regular infantry rifles in urban, mobile, and guerrilla warfare. The original MP 18.1 was designed to use the snail drum magazine of the Luger Artillery model pistol, holding 32 rounds of 9 mm Parabellum ammunition. 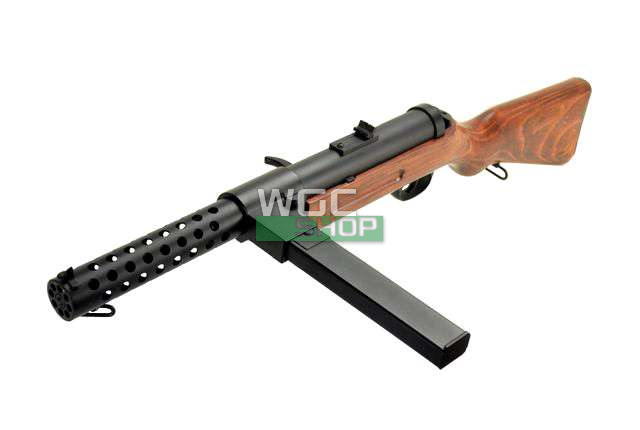 After 1920, the MP 18 was modified to use a straight magazine similar to those used in the later developed MP-40 submachine gun. WGC Shop are currently taking pre-orders for this replica of a unique piece of firearms history – click here.